Lord Wilson posed the question, answered today by the Supreme Court, with concision. When Parliament requires a local authority to consult interested persons before making a decision which would potentially affect all of its inhabitants, what are the ingredients of the requisite consultation? The judgments reveal the surprising fact that the core principles of consultation (named after Gunning, as public lawyers will know) have never been approved by the Supreme Court or its predecessor, the House of Lords. The Court was happy to endorse them as embodiments of fairness. But it went on to consider the duty to consult on rejected alternatives – as very recently debated by the Court of Appeal in the Rusal case – see my post here. Last night saw the important Report Stage consideration of Part 4 of the Criminal Justice and Courts Bill in the House of Lords. Angela Patrick, Director of Human Rights Policy at JUSTICE provides a summary. Widely – and quickly – reported as a “crushing” or an “emphatic” defeat – in a rare turn – the Government was last night defeated in three consecutive votes on its proposals to restrict access to judicial review. With a ‘hat-trick’ of blows, on three crucial issues, votes on amendments tabled by Lords Pannick, Woolf, Carlile and Beecham were decisive. On the proposal to amend the materiality test – the Government lost by 66. On the compulsory disclosure of financial information for all judicial review applicants, and again on the costs rules applicable to interveners, the Government lost by margins on both counts by 33. A fourth amendment to the Government proposals on Protective Costs Orders – which would maintain the ability of the Court to make costs capping orders before permission is granted – was called after the dinner break, and lost. The Supreme Court has just ruled on a case which appeared before the Administrative Court on the judicial workings of Sark, and the power of the ruling body to alter the pay of the local judge (known as”Seneschal”). The Administrative Court had thought this was potentially open to arbitrary use and therefore incompatible with Article 6 of the Human Rights Convention – read judgment and Rosalind English’s post here. But things took a different turn in the Supreme Court. 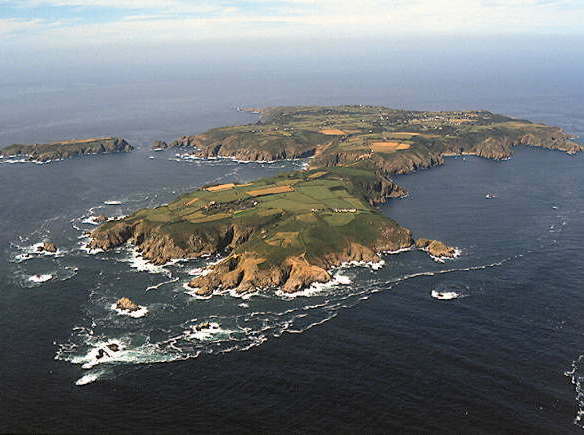 For reasons unexplained, the Barclay brothers (who own these island just off Sark) dropped out of the case, and none of the remaining parties sought to uphold the judgment of the Administrative Court. The Article 6(1) point was not adjudicated upon, and the case became a constitutional one. The Channel Islands are not part of the UK, and have their own legislatures, though they act internationally by the UK Government. In those circumstances – how should a UK Court go about reviewing the London approach to reviewing a measure put forward by an independent legislature? The Conservative Party’s proposals to introduce a British Bill of Rights and Responsibilities that would weaken the UK’s obligations under the European Convention on Human Rights (ECHR) – and the legal chaos that would ensue if it was ever enacted – have been hotly debated. The proposal makes clear that if the Council of Europe was to reject the UK’s unilateral move, as it would be bound to, the UK ‘would be left with no alternative but to withdraw’ from the Convention. The policy is highly isolationist. The brief section on the ‘international implications’ of the plan does not pause to consider the impact of withdrawal on the other 46 states on the Council of Europe or the Convention system as a whole. Nor does it address the implications for the UK’s ability to promote human rights and the rule of law in countries with significantly worse human rights records. … send a strong signal to other member states, some of which would probably follow the UK’s lead and also claim that compliance with certain judgments is not possible, necessary or expedient. That would probably be the beginning of the end of the ECHR system. It’s been an interesting week for the extreme fringes of maternal care. The papers report a trial where a mother is being prosecuted for administering toxic levels of medication to her daughter for “conditions that never existed” (as the court heard). Let’s see how that pans out. On the face of it, the detailed and lengthy judgment concerns the applicant son’s reaction to the MMR vaccination when it was administered in infancy, and whether it was the cause of his autism and a novel bowel disease, the latter being Wakefield’s brainchild. But at the heart of the case lies the phenomenon that we all used to know as Munchausen’s syndrome by proxy. Jeremy Hyam and Kate Beattie of 1 Crown Office Row acted for the Claimant in this case. They had nothing to do with the writing of this post. In April 2013 the rules permitting recovery of success fees under Conditional Fee Agreements (CFAs) and After The Event (ATE) insurance premiums changed in response to the Jackson proposals – with one exception, namely in respect of mesothelioma claims. This case concerns the Lord Chancellor’s intention to bring costs rules in mesothelioma claims in line with other claims. As many of you will know, mesothelioma is an industrial disease caused by the inhalation of asbestos. It is a rare form of cancer which generally does not become apparent until many years after exposure to asbestos, a feature which at least in the past has led to real problems when mounting a claim against those responsible for the exposure. Once the cancer does become symptomatic its progression is rapid. Most sufferers survive for less than 12 months from the onset of symptoms. Yet the effects of the disease over the period from the onset of symptoms to death are hugely painful and debilitating. This combination of factors means that litigation in relation to mesothelioma is unusual in comparison with many other types of litigation involving personal injury or industrial disease. In almost every case in which a claim is made for damages for mesothelioma the effective defendant is an insurance company.